Dozens of vendors took part in the first ever Art Walk event at the Atlantis Resort Marina Village on Saturday. The event showcased a wide array of authentic and traditional Bahamian music, crafts, handmade jewelry, artwork, and desserts for tourists and locals looking for unique gifts and bargains. Artist Lemero Wright shows off his paintings at the event. 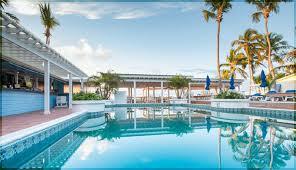 The Art Walk at the Marina Village, Paradise Island, is held twice monthly on a Saturday from 2-6pm. This event is a cultural display of the best in Bahamian talent. With a variety of arts and crafts on display, spectators can get a flavour of authentic Bahamian music and products grown locally. Expect to see showcases from vendors including; Fine Ocean Jewelry by Astrid Pinder; jewelry by Ava Forbes; sponges from My Bahama Sponge, by Andrew Burrows; recycled tire products from Candis Marshall’s Mega Mergers and Tiff Gallery’s basil products. The curators of the art walk are Antonius Roberts, painter, sculptor and open space designer and Pam Burnside, Manager at Doongalik Studios and Art Gallery. The architect and designer of the Marina Village is the late Jackson Bunside. His vision for the design of the Marina Village, was to bring to life the Bahamian community, which is centered around the ‘porch’, and is considered the heart and home of Bahamians. Thus, the concept of the artwalk was designed to see locals and tourists interacting together to get a taste of Bahamian culture, therefore bringing the Bahamas to life in art form, much like storytelling. There is no cost to vendors to participate in the Art Walk, therefore, it is hoped that many more local artists will take advantage of this creative opportunity to expose their talent to an international audience.